Science writers, do you fantasize about rolling out a blog that lands you a book contract that, in turn, yields a real live BOOK? Edmund Blair Bolles did just that. Now, he’ll share the story behind “Babel’s Dawn: A Natural History of the Origin of Speech,” his blog -> book effort. How he chose a dynamic blog topic, i.e. one that draws interactions from professional and amateur scholars worldwide? What signs he saw indicating that he had a book project on his hands, and how he turned that idea into a reality. How his blogging changed once he had a formal agreement with a publisher. But wait; there’s more! 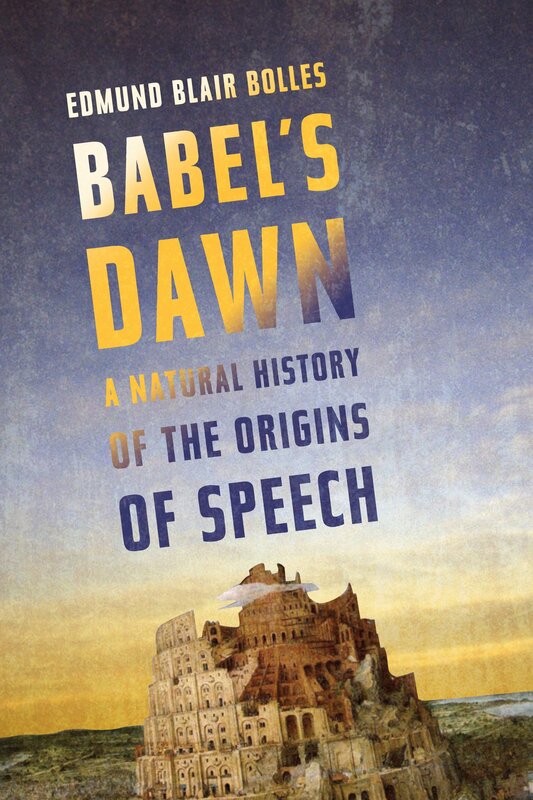 Blair will also discuss the origin of speech, the fascinating content of Babel’s Dawn! So, bring your own questions as well as your friends who blog and those who work in the publishing business. Following the presentation, we’ll have light snacks and heavy networking. Blair will be signing books provided by the publisher, Counterpoint Press, at a selling facilitated by Mobile Libris. Free for all. But remember, SWINY charges for most events, and typically the fee is lower for members than nonmembers. To learn about the benefits of membership, and to join SWINY now, go here.